Companies limited by guarantee are most useful where there is no immediate need for capital to carry out the objects of the company and it is necessary or desirable to incorporate or to limit the liability of the members. In a company limited by guarantee its limited liability status, the lack of any requirement for members to contribute towards initial working capital and the lack of share capital makes it an attractive vehicle for charities. A members liability in such a company is limited to such amount as the members undertake to contribute to the assets of the company in the event of the company being wound up. Charities which are constituted as companies limited by guarantee have a two tier structure. This type of charity has company members and a board of directors/trustees which is just like any other company. Its constitution is its Memorandum and Articles of Association and this is where its objects or purposes, which for a charity must be exclusively charitable, are set out. The board of directors rights and duties are set out in the Companies Act 2006 but the members role comes from both Company law and the Articles of Association. These Articles of Association set out the legal framework and legal basis for members rights and obligations and forms a contract between the charity and its members. -	The power to remove board members. If a charity which is constituted as a company limited by guarantee can not identify its members then the Charity Commission for Northern Ireland has statutory power to do so. 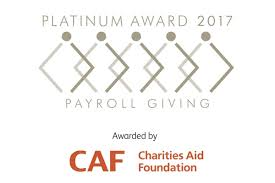 If you would like to know more about this topic or your charity’s legal status or for any query about public benefit sector contact Jenny or Sarah in our Charities and Social Enterprise Team.